Hey Grace, you know you don't have to blog about every single time you load up the Odyssey and fly the nuthouse ... right? I know. I know. But at the tail end of five week rotations that have left us feeling like residency is going to just swallow us whole ... clothing, nail polish, faux fur blankies, and ALL (or as Simon says, "we're not going to live through another call weekend") ... I think it will do a Grace some good to look back and read about some times that didn't leave her feeling like the world was out to git her. Because ... the world ... it revolves around her, as we all know. But really. Yesterday was another one of those days. We were stupidly optimistic that Simon would get out (at the VERY latest) by 6 which isn't too late but considering that he had to wake up to trudge into a 24 hour shift this morn ... it wasn't the most ideal. But! Of course he hadn't even scrubbed for his last surgery at 5 and so another day went down like they usually do. I finally rant-texted a fellow resident's wife (sorry Tory!!!) a straight up novella about the injustice of it alllll and then decide to stop wallowing foronceinmylife. Once. Just once!! I texted Simon as I loaded the kids in the car that we'd be at the park by the hospital and that hopefully he could meet us. Maybe I added an "xo" so it didn't sound as cold as it could've because my mood -- it was out to bite. Anyway ... you know where this is going ... my favorite place of all time ... the drive-thru. Of course. We flew through Chick-fil-A's gates on the way to the park and enjoyed the 73 degree temp (we drove by a bank en route ... although I am usually pretty big on checking the hourly weather predictions) in the company of virtually no one at the park. No one at the park is HEAVEN if you've ever had the pleasure of going to a park teeming with parents that follow 6 inches behind their capable toddlers and onto the play structures the entire time. If you want to get Simon going - talk to him about these parents. Let the children play! And fall! On the super soft ground that so many playgrounds are padded with these days! ^^^ you see this? Right after I snapped this masterpiece the world's biggest drama queen fell over and landed on her HEAD. She popped right up and said "I okay, I just fell a wittle bit." Let the children play. ^^^ had we not stopped them they would've pushed their charge right over the loooong drop ... not an ounce of remorse in sight. ^^^ lie and agree with me that my scar is definitely fading. It is, right? Let me just Shallow Hal it for one second. ^^^ I'll give you one guess who's the favorite swing pusher ... hint: not the one that doesn't put her back into it. + Simon eventually met us (duh) and the kids running across the park to greet him with their grins and shrieks didn't entirely make up for the day but ... maybe 88% of my faith in humanity was restored. + on the way to the park Julia announced that she didn't love me anymore and that she only loved Daddy "because he is cuter" but she thinks that Bash might love me. Maybe. + Bash was pushing the empty stroller around and a couple that was walking by hand in hand watched in HORROR as he pushed it (and he quickly followed) right off a one foot drop off into some sand. He was fine but they - they might still be recovering. 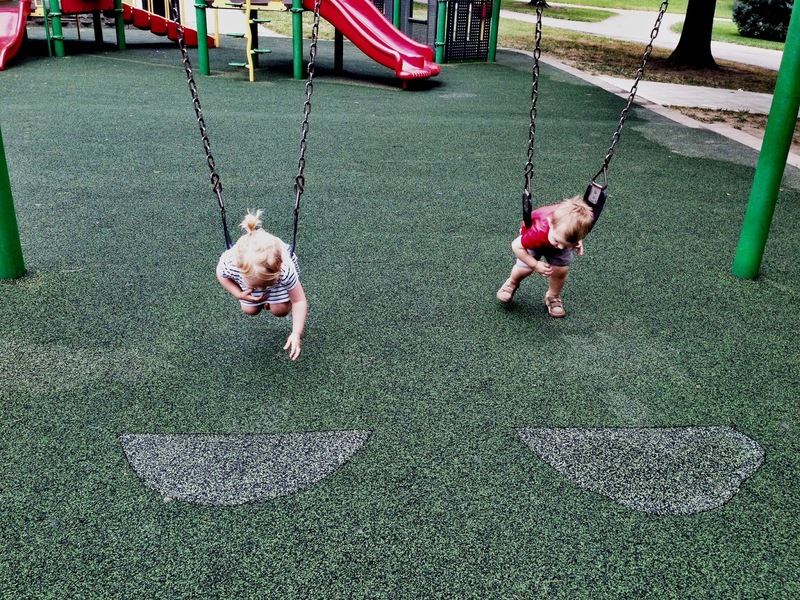 + when Julia is pushed on the swing she reports to be "feeling so much energy" with each push. I can assure you that this can be attributed to something she's seen on Netflix. + Bash beg-grunts to get on the swings and .0000001 seconds later he is scrambling to get the hell out of that torture device. He does this an average of 99 times per 30 minute playground visit. + Theo loved the swing ... moving or still. He's always been my favorite. + Bash fell twice before Simon was able to meet us and he had a bit of bleeding from his lip the second time. He stopped crying 4 seconds after the fall whereas his older sister would still be limping around and requesting that we resurrect a memorial at the site of the fall to recognize the fact that she lived to tell the tale to any that might lend a listening and sympathetic ear. And that was last night in all of its not terrible glory. Just call me Salvage. Maybe Sal for short. I love you...I just do. I love that you don't helicopter parent. 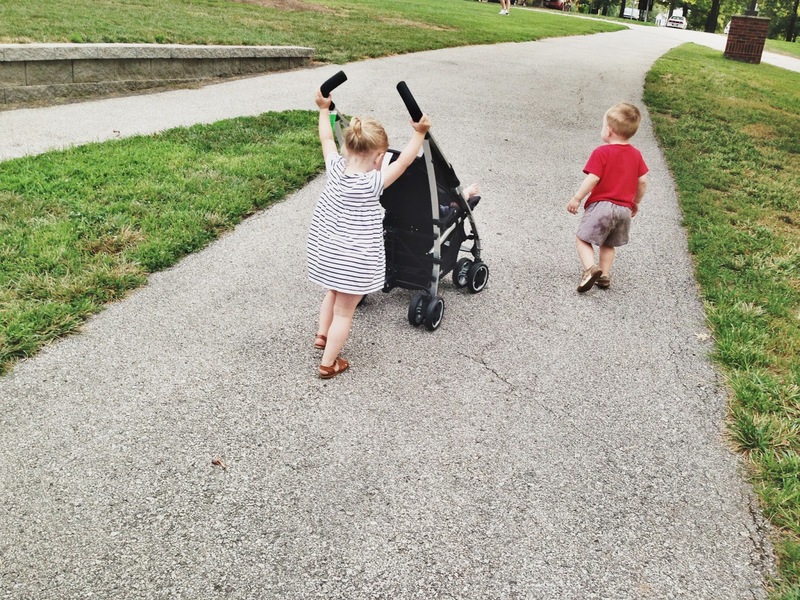 I love that you rant and give an honest view of daily life with three little under three. I just enjoy visiting you in your insanity salvaging each piece for joy from the day that you can. Rock on sista! You are AWE.SOME.NESS. 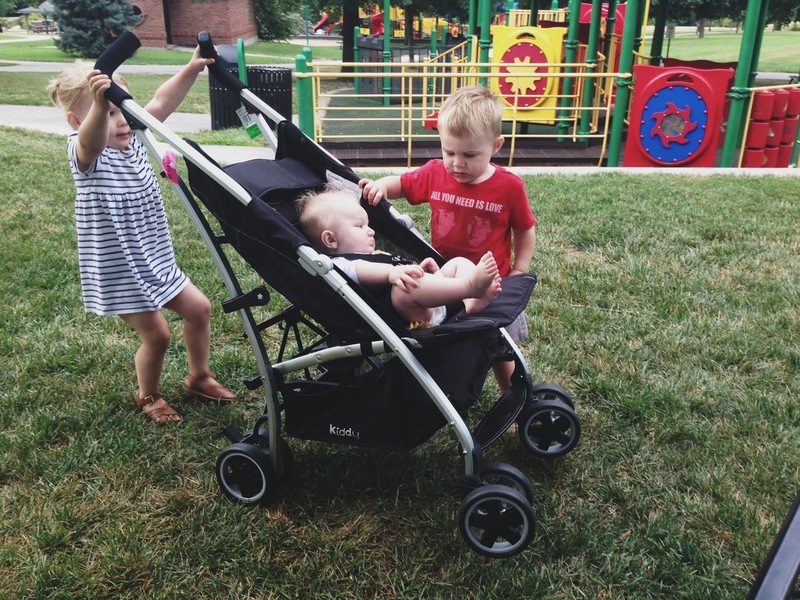 Glad the kids enjoyed the park (and btw, I'm one of those parents trailing 6 inches behind the capable toddler! haha) I do less and less of it -- thank goodness. I love the photo of J on Simon's shoulders. Frame! Or, slideshow. Also, waaay back when I started following/stalking the blog I had to do several double-takes (and then go back and read the surgery posts that I somehow missed?) after you mentioned it because I never, ever notice the scar. I'm so with you on the love that is an empty park. 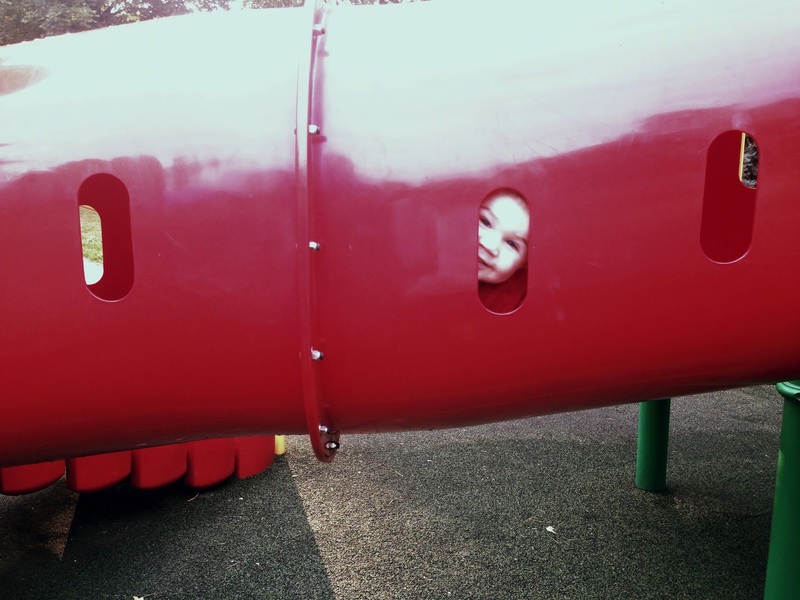 In fact, I frequently bundle my kids up in the winter and head to the park, just so we can enjoy it when it's empty..but i'm weird and introverted like that. haha I'm with you on the parents following five steps behind the kids. I do that when I am babysitting lest I risk super dirty looks from everyone around me. But seriously just let the kids play! I'm not a cougar by any stretch but that photo of Simon the Super Doc with Julia on his shoulders makes him look super hawt! And the scar just makes you look edgy. Embrace it! I'm jealous of your parks! My little town has more than you'd expect, but the play equipment is always placed right next to the street. So annoying, especially for kids who like to run and have no fear of traffic. 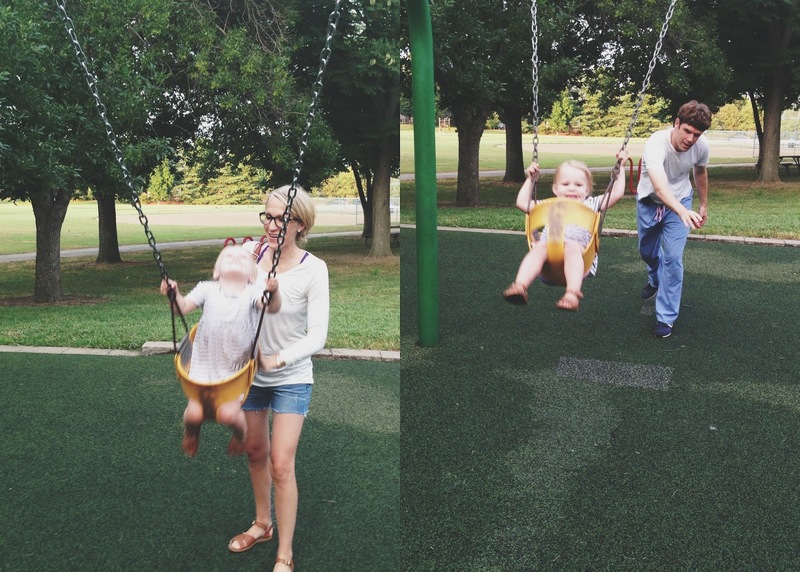 If G ever learns to swing all by her lonesome I will be one happy parent. 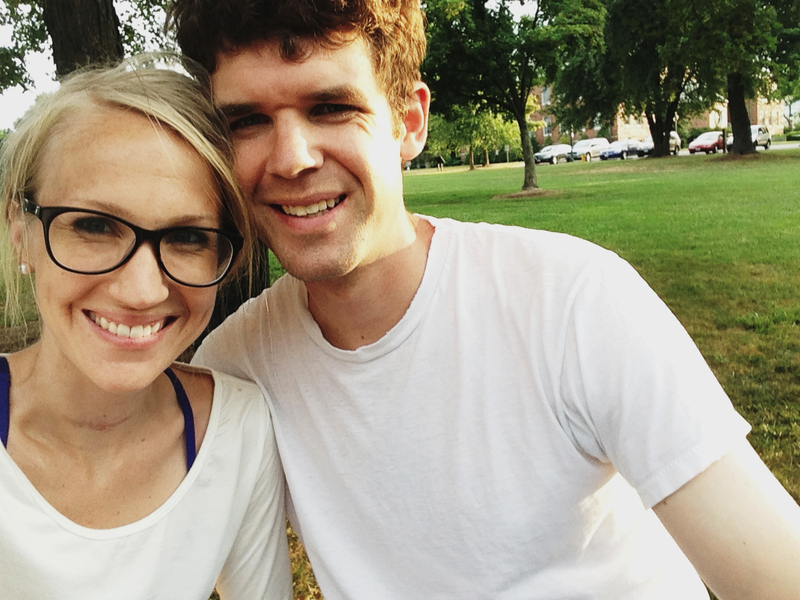 I just barely started reading your blog and you can make me laugh every time! I too have young kids...two girls...2 1/2 and 4 months (24 months apart but our 2 1/2 year old was born 15 weeks early, so some days I feel like they are only a year apart). It's good to know there are others in the same boat...makes me feel not so crazy or lonely. Sorry about the residency. My brother and his wife survived that...it's hard stuff. Hang in there! I don't know how you do it! If my husband works 10 minutes late I'm pulling my hair out!! You and Simon deserve a nice long vacation together for all of the work you two do! And thank goodness Bash might love you, it's always good if one of your children do! :) That Julia, she's going places. These photos are so cute!! And Theo is sososososo cute, I can't even stand it. I mean, all the kids are, but those Theo swing photos? Oh and you can barely even see your scar! I love when you blog on a weekend... it's like an unexpected treat when I have nothing funny to read. =) Glad y'all had a break in the never-ending darkness of residency! And you are not biased! Your children are adorable! That park looks freaking fantastic. One: I never ever noticed your scar till you pointed it on when you told the story of it coming to be. Two: Seeing/reading about Simon being able to meet you guys during a shift makes me heart happy; I see a post with Simon's picture and I get so excited (not because I like Simon, well I like Simon, but not LIKE-like, ya know Glad we cleared that up) for your family. 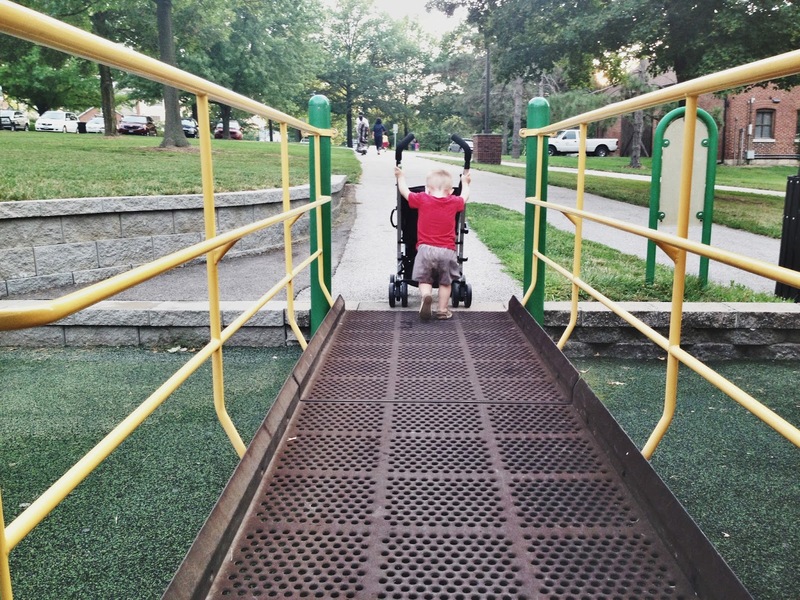 Three: I took Ry to the park this morning and it was gloriously empty for the first 10 minutes. Luckily, the mom who joined us was of the non-helicopter variety and her son was just as much of a monster as Ryder. PLUS she said, "Ok, I HAVE to ask you: How did you lose all your baby weight??" I pretty much wanted to ask her to me my BFF4E&E but fortunately I haven't lost all my sanity. And.. almost as bad as helicopter moms are the mega-SUPER-rich SAHers who frequent the park nearest to our house and look like they A- never birthed a child from betwixt their hips, B- are dressed like they're ready for a mid-morning cocktail party (def freshly-showered, hair done, full make-up [lipstick? Come ON! ], mani/pedis, REAL clothes.. not a yoga pant in sight), and whose kids look straight out of a J.Crew ad, and/or 4- are judging anyone who goes to the park in ::gasp:: sweatpants and sneakers. The worst, worst, WORST are the ones who are 1,2,3, or all of the above PLUS helicopter moms. OK, I'm done. and P.S. Your kids are so fricken cute I can't stand it! Totally agree with the "let the children play"!!! I also love when one of my kids says something intelligent and just as I'm about to pat myself on the back ( we homeschool) they say they saw it on Cat in the Hat. Same story here (minus the homeschooling)! I never notice your scar! Is it me or does it appear Simon has a tat on his L upper in the pic of him pushing Julia??? It's me....but still. haha. No ink on Simon. Maybe one day but if I know him ... probably not! Yes, the injustice of residency! Sorry, I do not miss those days! You are very luckily that there is a park near the hospital though; my DrH's residency and fellowship hospitals were very inner-city- we hardly visited. Do you and Julia have matching sandals? Simon looks like Dave in this picture because of the hospital garb. 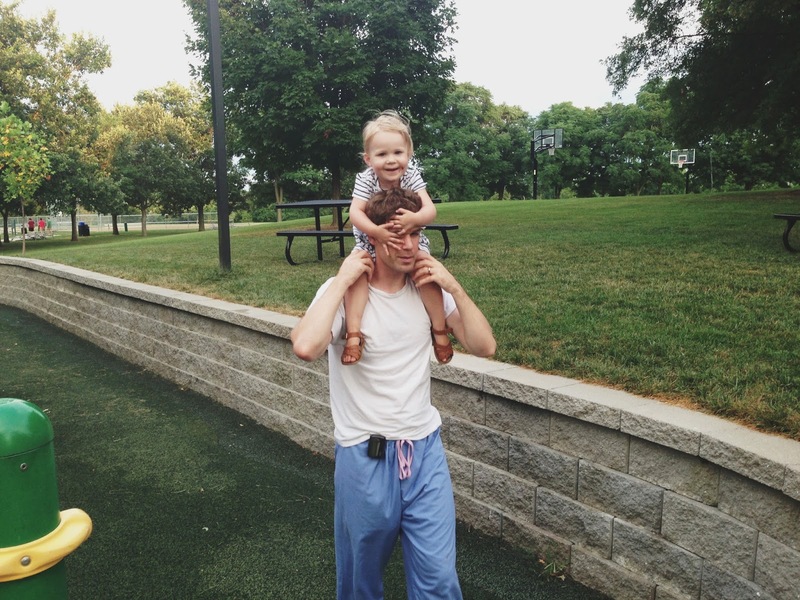 I call the scrub pants and white tee (after he sheds the scrub top, obviously) his uniform. All day every day. i found your blog through flora and i am so glad i did! your blog is so lovely and wonderful. I read the article in the Catholic magazine! You're totally celeb status. And the Bash wanting to "get the hell out of that torture device" just gets me! Dying laughing, but still alive. And you are a beaut. I told my husband, "If I could procreate and still look like that, then we'd have a slew of chillins"...not that looks are everything, but you get my point! You're a babe. Re: Your scar. First off, you are super super cute and have nothing to worry about. It is seriously the last thing I'd notice unless you mentioned it. However, I AM intrigued por que....I had surgery on my hip 4 mo ago (stubborn running injury) and developed "keloids" on the two small incision sites. Obvi the side of hip is covered by clothes 99% of the time, so who cares. But I am concerned if I ever have an injury on my face or a big ol' C section scar, that I'll develop a keloid again. I am waiting to see a Dermatologist in a few wks. Is yours a "keloid" and did a doc give you advice on how to minimize the redness, etc.? (Not that is looks like it needs to be minimalized. Truly. You make me laugh. :) Thank you! Glad your day ended on a good note. Your kids are the cutest! I really do think your scar is fading! Have you tried Mederma? I have a similar scar on my collarbone from my cancer 10 years ago that has faded a lot, and I think Mederma helped. Your writing is amazing! I laughed about Julia needing a memorial resurrected. Our oldest seems to be quite the dramatic over injuries as well. Theo has the cutest old man faces. Question: Does Theo own suspenders? He should. It would help with his old man image even more. Thanks so much for your take on life, we all need a little grace in our lives. I think the energy comment is from "Bo on the Go!" It's the strangest and most beloved Netflix streaming series at our house these days. 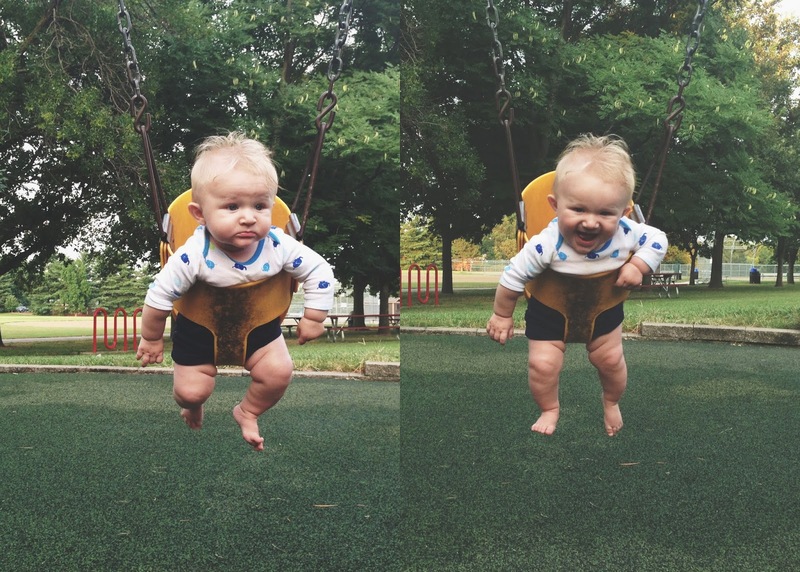 omg that pic of theo on the swing. love it. and simon does look like the fun parent. can we still be friends..
i was snort-laughing at your highlights. so glad you got to have some family time at the park. can't imagine how tough it is to have your hubby gone for such large chunks of time. i'm sure it will all be worth it in the end!! love your shoes! and especially LOVE that they match julia's! I found your blog via the ST Louis Catholic magazine (I am a classmate of Mike Mette, who was also featured). 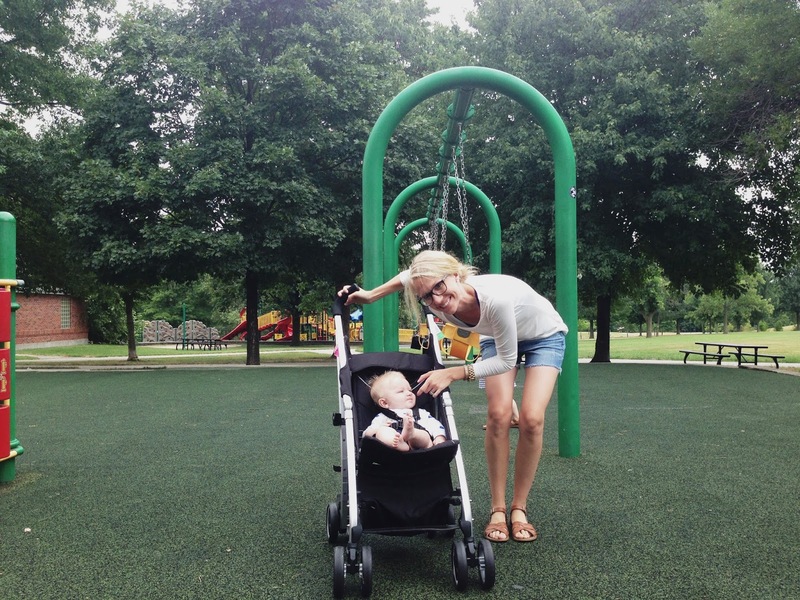 I have only read about 4 of your posts - but I am already hooked - I love your "real" take on raising kids and all the crazy that comes with it!! Can't wait to read more! !